Organized by Turkey University Sports Federation, University Members and Coaches Tennis Tournament was organized in Antalya between 13- 16 March. 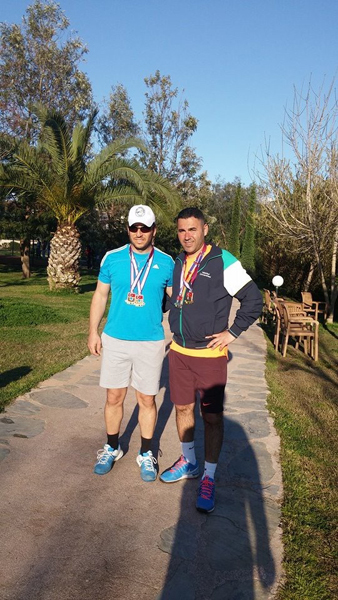 Dr. Bülent Duran, İÜ School of PE member and national coach, became champion in (30&plus) categories of doubles and single at the tournament in which 16 university coaches took place. Dr. Duran, at the final match of Singles Category, defeated Mustafa Terzi from Yalova University 6-2 / 7-5. In the final, again in Doubles category with Mustafa Terzi, he defeated Hasan Ercan from Marmara University and Mehmet Vurat from Çukurova Univeristy 2-6 / 6-1 /10-8.